Justin Miller isn’t a stranger to Japanese TV. He has been a guest on various morning shows to promote Showa Kayo Night, a party he co-founded in 2011. But the reaction he got after appearing on TV Tokyo’s evening program “You wa Nani Shi ni Nippon E?” (“Why Did You Come To Japan?”) really surprised him. The attention gave the party, which focuses on Showa pop songs, quite a boost. So much so that, for the first time, the gathering is being moved from its usual Rhythm Cafe space in Shibuya to Ebisu’s Act Square for a special “Ooomori” (big) edition. It’s a spacious venue with wooden dancefloors and a high-tech video board that wraps around the interior. Don’t let the 21st-century flourishes fool you. 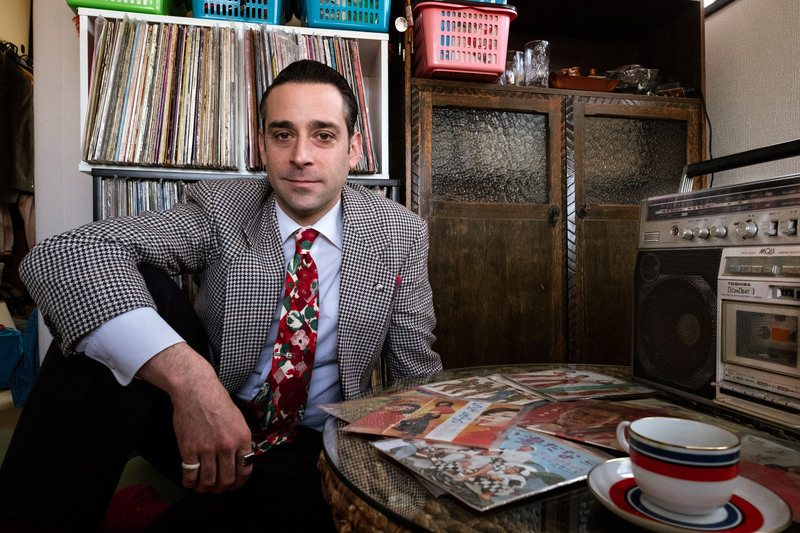 Miller says the night will still be all about music from Japan’s Showa Era (1926-89), a draw that has brought together nostalgic Japanese punters and curious non-Japanese attendees alike. “We are just doing it on a bigger scale and bringing all these people from different scenes together so we can all just do a massive rave up at this place,” he says. Miller is originally from New York and ended up in Japan in the mid-2000s, after a short stint in South Korea — a flight that was motivated by George W. Bush’s re-election in 2004. He first lived in Nagoya, and it was there that his interest in Showa pop took off following a chance discovery of singer Jun Mayuzumi’s shambling 1968 single “Black Room” at a Hard Off second-hand store. He started building up a library of Showa Era sounds that were culled from bargain bins. He continued digging upon arriving in Tokyo in 2011. 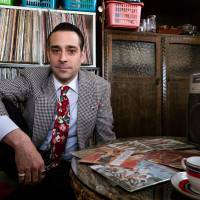 That was also when he began to spin records under the name DJ Dandy, and soon he launched Showa Kayo Night with co-founder Ayano Cafebleu. Throughout our chat, Miller stresses that Showa Kayo Night isn’t a one-of-a-kind idea. DJ nights devoted to Showa cuts happen frequently across the country. He talks about one recent event in Meguro Ward that featured Yasuharu Konishi of Pizzicato Five fame behind the decks. “Watching the masters in action … I felt so not worthy,” he says with a laugh. Miller adds that he only knew about this event through a friend, hinting at one of the ways Showa Kayo Night has managed to attract so much attention. The Showa-worshipping scene is hard to break into, related gigs and events are mostly promoted through word of mouth. Miller says his event’s organizers are making the effort to reach out on social media — in both Japanese and English. That knack for self-promotion is what helped him land on “You,” a TV show that hunts down new arrivals at the country’s airports and follows them on their Japan adventures. “They contacted us. They did a different style, it was like ‘Event You’ or something like that,” Miller says. It proved a popular segment — he was invited back for the show’s 2016 year-end special — and, besides boosting attendance, it lead to Act Square reaching out to Showa Kayo Night last summer. “I couldn’t be happier … and I couldn’t be more stressed out,” he says with a smile. Besides DJs, he says the event will feature a go-go dancer, and VJs have been brought in to take advantage of the wrap-around video screen. Owing to the bigger spotlight, Torys whisky is supporting the event and pop star Linda Yamamoto will perform. “I just want this fun spirit of Showa Kayo Night, what makes it so great, to be carried over and amplified,” Miller says. He’s also conscious of the fact that some of the attention he’s getting is down to his “foreignness,” which can leave him feeling grateful, but strange. Novelty only goes so far, though, and Showa Kayo Night has established a real community, one that has boosted spirits frequently. Miller says he’d love to keep doing the Ooomori-style parties now and then, and wants to take Showa Kayo Night to other cities in Japan. One thing that won’t change, however, is the monthly party he holds at Rhythm Cafe. On first thought, music categorization doesn’t come easier than “Showa pop.” It refers to music made in the Showa Era, which began in 1926 (after the death of Emperor Taisho) and lasted until 1989 (when Emperor Showa died on Jan. 7). Digging deeper, the term technically includes everything from ‘50s boogie-woogie to late-‘80s synth pop. When a club night slaps the word “Showa” on its name, though, it’s a safe bet that the DJ won’t be spinning any prewar jazz cuts. Justin Miller, co-founder of the long-running Showa Kayo Night, has seen many different interpretations of the term. He mentions smaller parties that focus on extremely rare numbers, while his own monthly gathering is “a bit more crowd pleasing,” featuring recognizable names. His list of 10 tracks (below) for those just getting into the genre leans heavy on late ‘60s pop, ranging from Jun Mayuzumi’s “Black Room” to “group sounds” rock offerings courtesy of The Golden Cups and The Spiders. But he also recommends ‘70s idol groups Pink Lady and Candies, along with a number by enka titan Misora Hibari (albeit a group sounds-appropriate one). Miller says he has also become intrigued by deeper disco cuts, alongside the funk-leaning early works of Southern All-Stars. Showa pop — or wamono, a word used to refer to oldies — doesn’t refer to just one style, and events such as Showa Kayo Night — alongside parties like Waradise Garage and Nakano Wamono Borderless — reflect that.